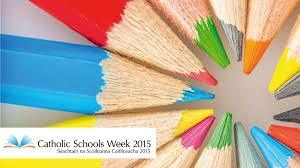 Catholic schools week took place from January 25th – February 1st 2015. This annual event calls on Catholic schools to give expression in a special way to a particular aspect of Catholic education. This theme of Catholic Schools Week 2015 was ‘Catholic Schools: Called to Serve’. Children had an opportunity each day to participate in Catholic schools week during their religion time. On Wednesday 27th January we celebrated Grandparents’ day. This provided us with a lovely opportunity to remind our children the important role grandparents play in their lives. We had a very enjoyable day, one that will hold great memories for both the grandparents and children in the years to come. Many thanks to the grandparents/parents/relatives who visited us and joined us in the school to experience some of the present and give us an insight into some of the past.